Community is a key aspect of the Sales Leadership program. Sales Ambassadors are current students with a minor/concentration in Sales Leadership who coordinate community events, communicate program benefits across campus, and serve as a resources to current and prospective Sales Leadership students. Have a question about life as a CSL student? Email salesleadership@depaul.edu to connect with an Ambassador. Ryan Dean is a Junior studying both Marketing and Management Information Systems (MIS) from Pleasanton, California. He moved half way across the country for DePaul's atmosphere and business school. 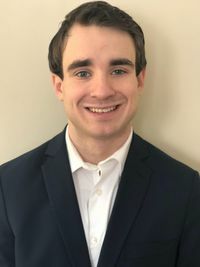 Ryan rushed and joined the prestigious Business Fraternity: Alpha Kappa Psi during his Fall Quarter Freshman Year, where he currently sits on its Executive Board as Master of Rituals. He looks forward to working with the Sales Ambassador team to enhance the DePaul student experience. Hien is a Junior studying Honors Marketing (IME) with a concentration in Sales Leadership from Palatine, Illinois. She has always had a knack for analytical storytelling and problem solving, so her CSL focus is in Category Management. 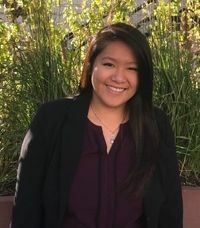 Hien was a member of the Sales Leadership EDGE team her freshman year, and is excited to engage with students about CSL opportunities as an Ambassador this year. Andrew Kamath is a Junior studying Marketing with a concentration in Sales Leadership from Palatine, IL. After school, he plans to pursue a job in the technology industry. 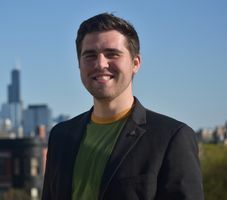 In his free time, Andrew likes to travel and is actively involved in the Chicago music community. As a transfer student from a small town, Andrew knows how easy it is to get lost in the city so feel free to approach him about getting involved with CSL! Michael is a Junior majoring in Marketing with a concentration in Sales Leadership from Elmhurst, Illinois. Since coming to DePaul Michael has found his passion in sales through numerous CSL classes. He realized early on that his skills were best fit to pursue a career in sales. In his free time Michael enjoys watching Chicago sports, going to concerts, and traveling. He loves the opportunities and events that CSL provides for its students. If you ever have any questions or concerns about The Center for Sales Leadership feel free to reach out to Michael! Hailey Murphy is a Junior from Detroit, MI studying Marketing with a concentration in Sales Leadership. Hailey rushed and joined the Professional Business Fraternity, Delta Sigma Pi, during her Fall Quarter Freshman Year. Currently she holds the role of VP of Brotherhood for the fraternity. She is excited to collaborate with other Sales Ambassadors to help increase the opportunities available for DePaul students. Patrick Reeg is a Junior studying Marketing with a concentration in Sales Leadership from Downers Grove, IL. He coaches youth sports in his free time and loves the opportunities that DePaul’s business school has brought. 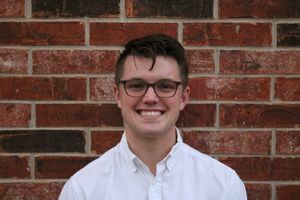 He is excited to work as a student ambassador to help more students find a home in the CSL. Interested in Becoming a Sales Ambassador? Our Sales Ambassadors are selected on a rolling basis. Please reach out to Deirdre LaVerdiere at deirdre.laverdiere@depaul.edu with questions or to express interest in joining the team.